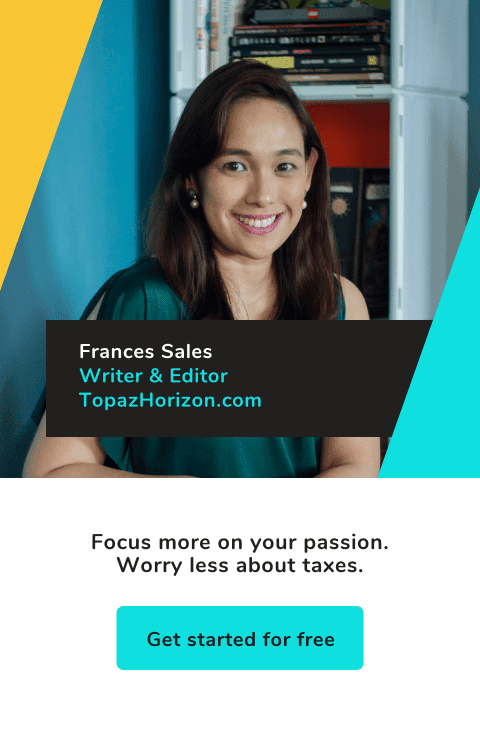 TOPAZ HORIZON: Super delish sardine dish! When I wrote about our mini-vacation at Edsa Shang, I mentioned that at the breakfast buffet, I ate sardines. Yes, I went to one of the best buffets in town and I chose to eat sardines! Why? Because I love sardines! 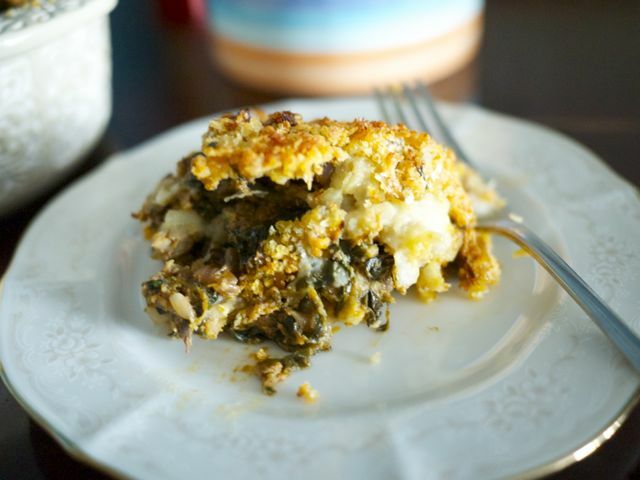 It's affordable, healthy, easy to prepare, and you can make so many dishes with sardines! I always have cans of sardines in the pantry. They're easy comfort food. Just open a can, squeeze calamansi and you have a tasty rice topping. Or I mash it up and spread it on hot pan de sal. Or if I'm feeling hoity-toity, I put a dollop on crackers with cheese and I have instant hors d'ouvres. I also make it into an omelette. I also make it into a glass noodle soup. Lots of dishes you can make with a can (or two!) of sardines! 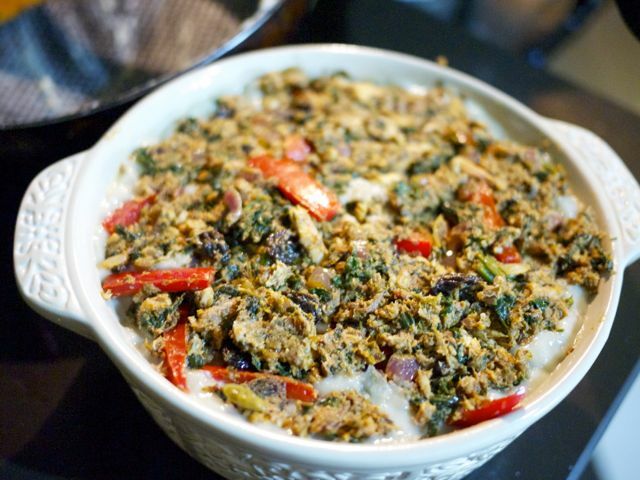 And because Mega Creations Premium Sardines sent me cans of their yummylicious products, I'll share with you a really yummy sardine casserole that my husband enjoys. 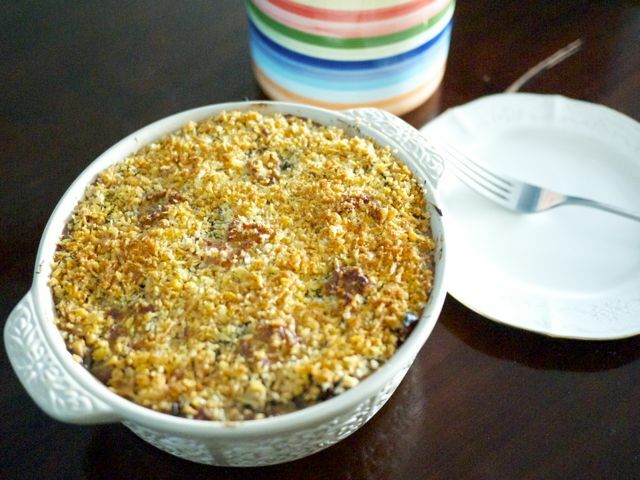 This recipe is actually by Chef Greg Villalon but I tweaked it to make it mine! 2. 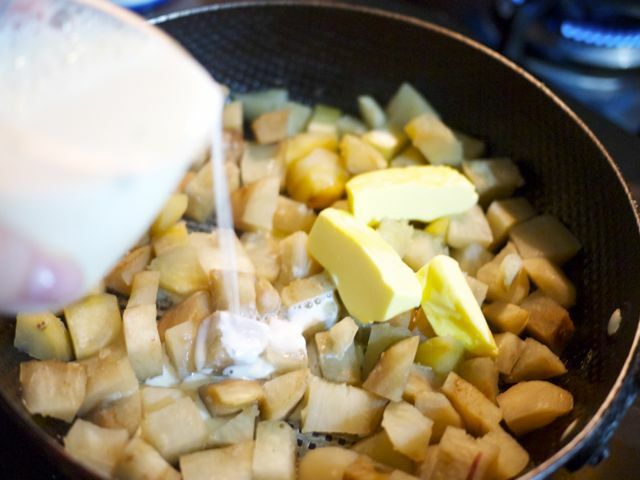 Add milk and butter. 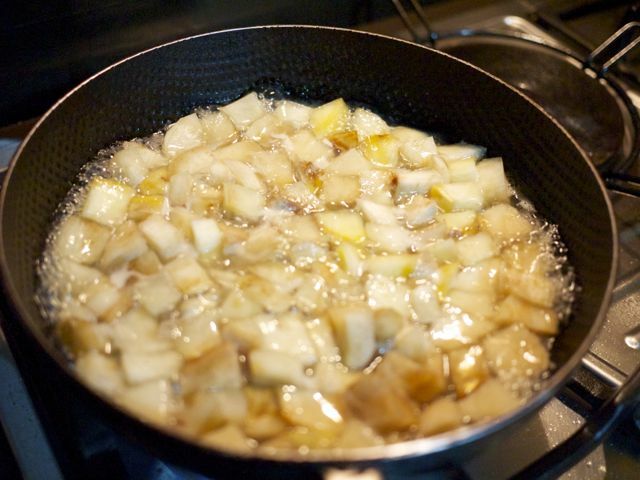 Mash together until desired consistency is reached. Season to taste. Set aside. 3. Heat olive oil in a pan. 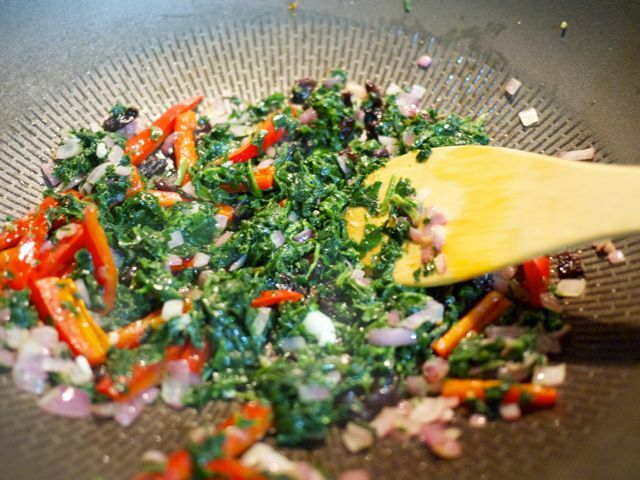 Sauté onions, peppers, spinach and raisins. Add spices. This smells so good! But you'll have to open the windows so that the curry smell won't stick to your upholstery and curtains haha. 4. Stir in tomato paste. 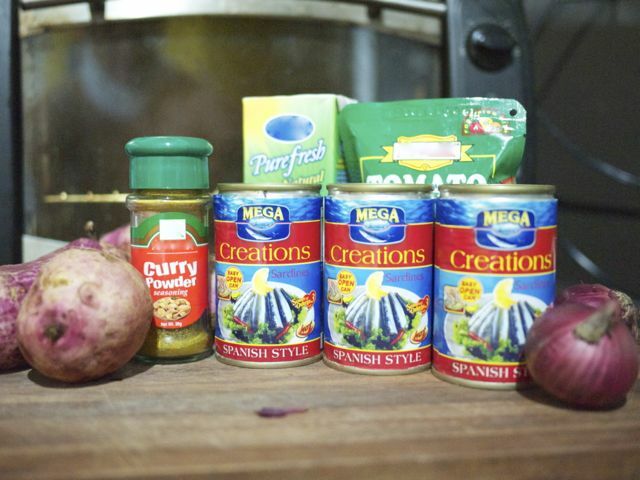 Add the Mega Creations Premium Sardines Spanish Style*. Mash thoroughly. I used a wooden spoon. Season to taste. Set aside. 5. 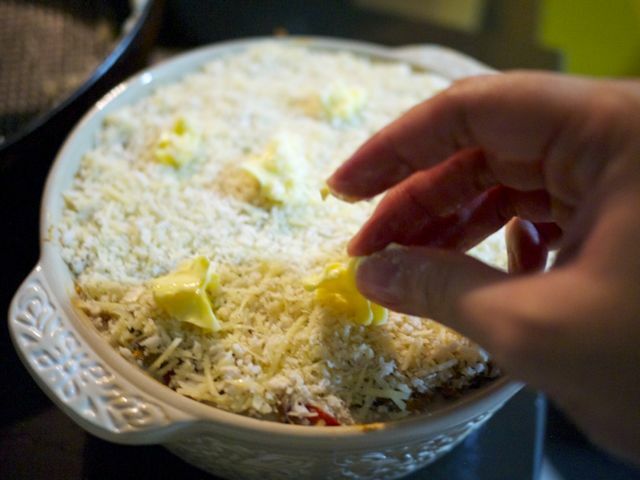 Assemble the dish in a casserole or Pyrex dish. Sweet potato mash first, sardine and spinach layer next, then Parmesan cheese. Repeat until you reach the top. 6. 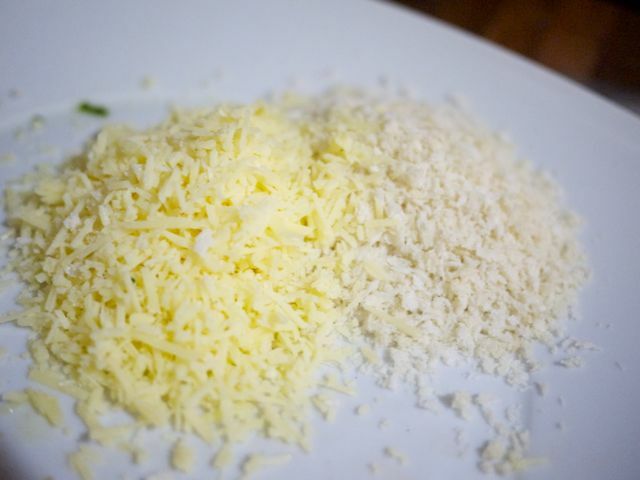 Sprinkle the cheese crust mixture on top and add pats of butter. 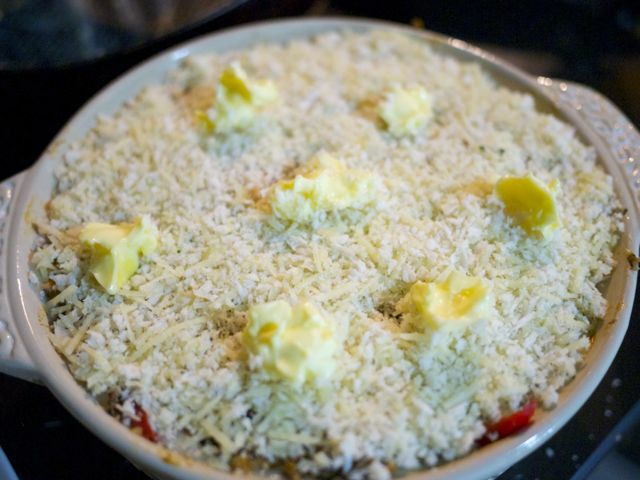 Then bake in a 200º C oven for 15-20 minutes or until the crust browns. 7. Serve hot from the oven! This serves 4-6 people. I serve it with garlic toast and a sprinkling of raisins. I also like it with hot sauce. Sooo good! 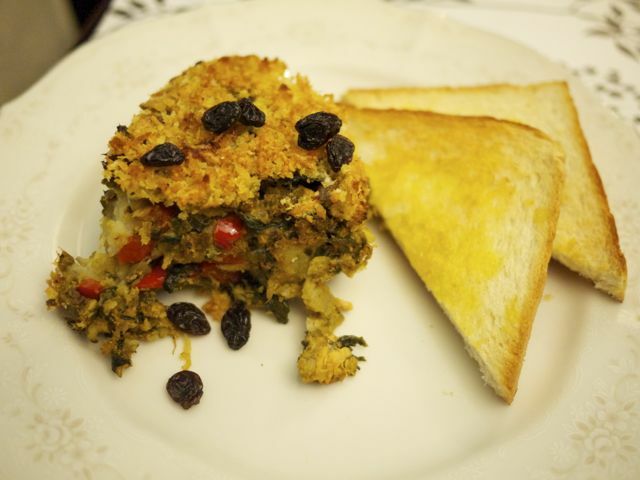 You can get more sardine recipes from the show Everyday Creations. It's on Lifestyle Network and it features tons of delicious and easy-to-make dishes that use Mega Creations Premium Sardines. 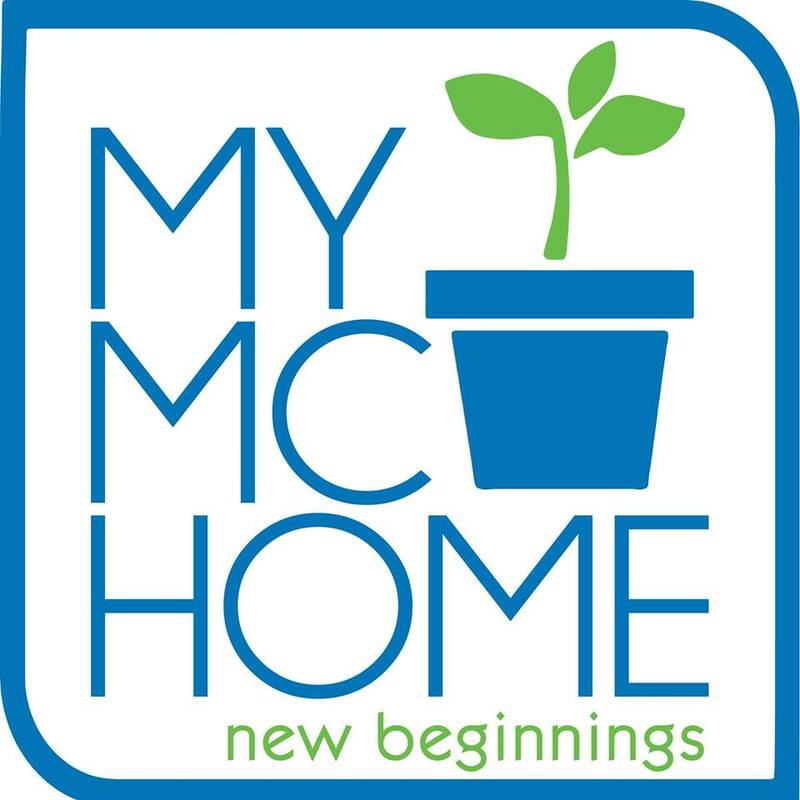 It's every Friday at 6:30 p.m., with replays on Wednesdays at 6:00 p.m. and Sundays at 11:30 a.m. You can also visit the My Everyday Creations page on Facebook. I super recommend Mega Creations Premium Sardines because it's masarap and not malansa. It's super fresh because the fish is processed in 12 hours so that the natural elements from the fish like Omega 3 oils, protein, and calcium are preserved. Mega Sardines also comes in tomato sauce variant. It has no preservatives and is ready to eat. Kain na! For every serving of sardines, you can get as much as 2,200 mg of Omega-3 fatty acid, which helps prevent cancer, the growth of tumors, and the spread of the disease. Sardines are also rich in Vitamin D, which has been linked with regulation of cell activity and the prevention of cancer. Omega-3 fatty acids also help in raising good cholesterol while lowering bad cholesterol. As such, it decreases the risk of heart attacks and strokes. 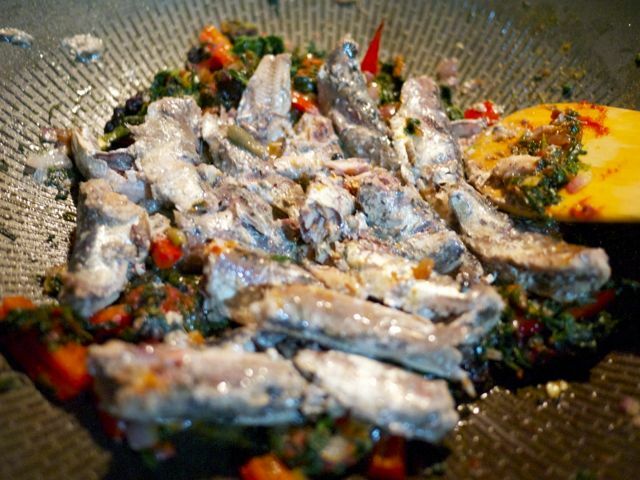 Sardines also have high calcium content. This means that, together with proper exercise, sardines can help the growth of kids and for us grown-ups, help prevent osteoporosis and degenerative bone diseases. The combination of DHA and Omega-3 fatty acids plays a role in eye health. Research has found that the human retina has a high concentration of DHA. One serving of sardines contains 7g of protein. Compared to other kinds of meats that have the same amount of protein, sardines have less saturated fat, lowering your risk of heart diseases while still providing you with the right amount of protein. A regular serving of sardines has 135.1% Vitamin B-12, which has been associated with the formation of healthy red blood cells, allowing the body to maintain a healthy immune system. Sooo many health benefits, right? And for such an affordable price and super yummy, too! If you're trying to add more fish to your diet, try sardines! *If you don't like the bones, you can remove them beforehand but I prefer to keep the bones because they're rich in Vitamin D. When you mash the sardines, madudurog din yung bones anyway. Yuhh, I knew you lang as EIC of OK then when I became a mom blogger, Topaz Mommy then this. And you wowed me sa cooking terminologies mo ha. Ako kasi 'pag walang maisip na term --- kiyemelou na lang. Hehe. Honestly, walang stir --- maganda, mahusay magsulat and magluto. Bat your lashes now, Frances. Di ba lang. LOL. Teka, ako din yun sa ibang dimension nga lang: sa paningin ng asawa ko. Hahaha! Anyway, mahilig din kasi ako sa cooking shows, cook books and food magazines. But hindi ako fan ng food blogs. How weird, no? Oh, I love sardines, too! 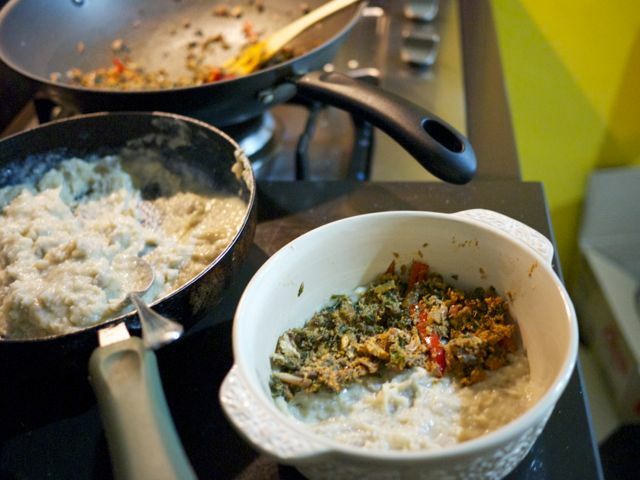 We'd usually just cook it with spices or make tortang sardinas, but this recipe really looks good! Must try this! Yey! There's hope for me yet! Thanks Frances! Love this! Can't wait to try it. Hopefully this weekend! Thanks for the recipe! will definitely try this. im running out of ideas on what to cook for my husband. it's time to touch our stockpile of sardines from the philippines. I just used an oven toaster! Yummy! I love sardines too and we use it to make torta. I've never tried this sosyal version though LOL Great photos btw! Yes, it's been waaaaaay toooo long, HIMYM. Reader question: Is your life for real?